Blank Canvas for your personal touches! This corner lot home with side entry garage in Creetwood Village has been freshly painted throughout and features vaulted ceilings in the family room and kitchen. This 4/2 has room for everyone with a split floor plan, formal living room, formal dining room, large family room with wood burning fireplace, large kitchen with 28 cabinets--13 drawers--a pantry, breakfast bar and an eat-in area. New hot water heater 2019, new lawn pump 2019, double gate access to backyard has room for your boat or trailer. Large yard building with plenty of storage. 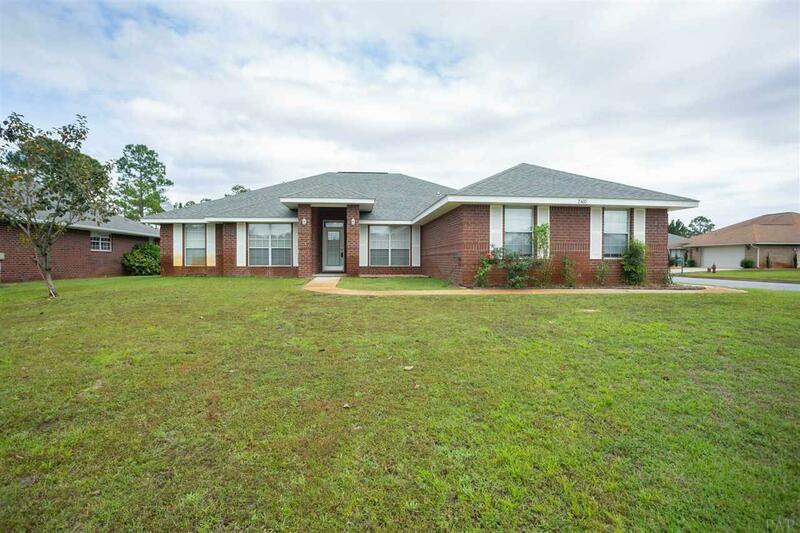 One of the largest open & split floorplans in the area!